On the 3rd Sept a group of members joined forces with March, Wisbech & Murrow art societies for a visit to the SAA head office in Newark. We had a very informative day and got to try out a range of their products - a good time was had by all. 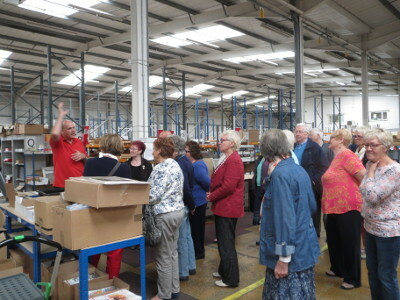 Thanks to Ann Dring for organising things our end and the SAA staff - Gemma who organises these visits, Richard who told us all about the SAA and showed us round the warehouse & Anita who demonstrated the products - plus all the other staff we met who were so welcoming.